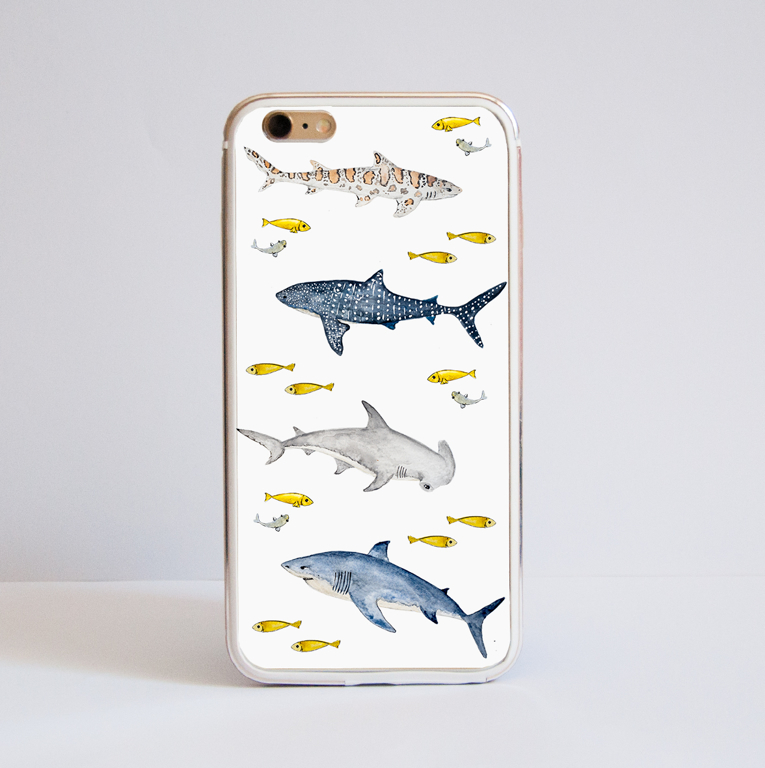 This phone case design features some of the most beautiful shark types. The watrecolour used to create the artwork gives a bit more complex colour blenidng and texture to the final design. Our Sharks Phone Case features some of the most beautiful types of sharks. The desigsn uses watrecolours to add more texture and beautiful colour blending. We use our devices all the time, so why not have them protected in a stylish way? The pictures above are examples of an iPhone 6 case. However, we do offer a wide range of Samsung and Google models too. The case itself is made from a light clear plastic that provides protection without the bulk. The final design is printed directly on the case. The sides are left transparent. Please note that on the more curved models there can be a slight fading towards the edges, due to the printing process. Each case may have slight variations in print as all cases are different sizes and shapes. 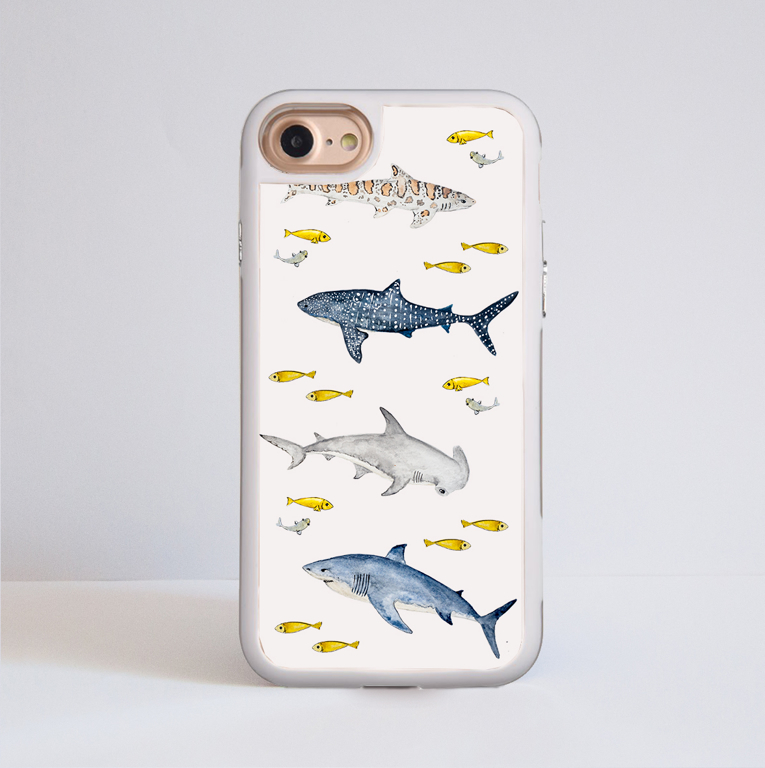 The Sharks Impact Case will add character to your phone whilst protecting it from accidental drops. The design features some of the most beautiful shark types, such as the great white shark, the whale shark, the leopard shark and the hammershead shark.